I have an unnatural obsession for roasted cauliflower. 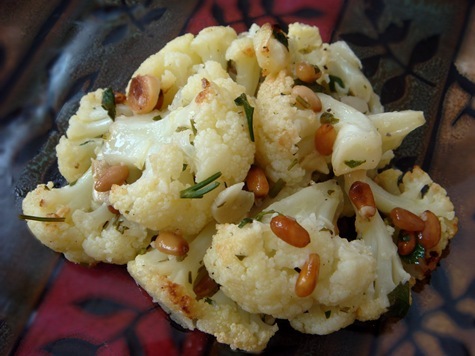 Usually I just roast it with some EVOO, salt, and pepper…but garlic, lemon, and pine nuts sound like a great addition. YUM!